SGS Helps Bellcomb Execute Large-Account Strategy. Bellcomb is the fastest growing and largest supplier of custom-designed lightweight custom designer of lightweight composite structural panels in the world. Its 1,000,000-square- meter capacity and proprietary efficient production techniques make the company the industry leading manufacturer of honeycomb sandwich panels that solve complex problems. Since its establishment in 1989, Bellcomb has grown to serve clients in more than 40 industries with exceptional expertise in maritime. Improved sales-process cost effectiveness by replacing 70% of the customers that comprised only 1% of revenue. “20 Questions” reduced costly proposals that weren’t being closed. Firm negotiation process protects margins. Four months into the year, the company is on track to achieving a 50% revenue increase. Bellcomb President and Founder David Hartwell had a reasonable growth strategy for the company: transform the company’s customer base from a plethora of small accounts to select elite accounts. “With our market position—our reputation for dimensional stability, non-combustibility, thermal efficiency, sound control, and moisture and corrosion control—I felt that we should be directing our sales efforts at larger accounts with more complex needs,” says Hartwell. Phillion’s impression of the Bellcomb sales organization he first saw was that they appeared to be unenergetic and disheartened. “They believed they were a manufacturing-driven company. I could see that they were really victims of ineffective sales leadership. They didn’t know what they were supposed to do or how to do it. As a result, they were reactive, starved for leads and would glob onto any prospect that was breathing. They were so unempowered that they were poor negotiators,” he explains. On a mission to demonstrate that there was a “new coach in town,” who was determined to improve life for the sales team on all fronts, the ex-Marine felt he needed to act quickly. 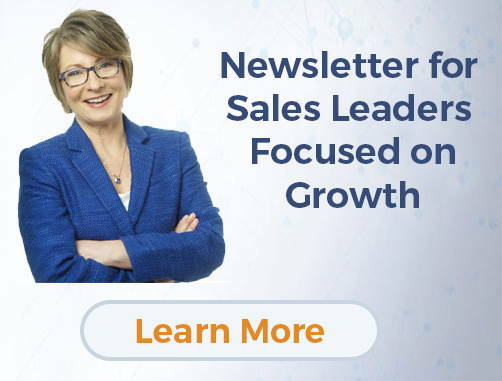 In addition to creating a 30-, 60- and 90-day plan and instituting weekly meetings, the new sales manager delivered a 100-day state-of-the-union address in which he generated real excitement beyond sales. Linking mental change with physical change, Phillion literally had the team clean house. “It’s tough to feel professional in an unprofessional environment. They straightened up their offices and got rid of the clutter, so they could focus. We worked on personal appearance. No more unprofessional attire—business casual or formal business attire only. And we worked on being present, committed—no more leaving early. “These physical changes helped change their mindset. We became a much more professional group. We freshened up the brand to reflect our sophisticated capabilities. We attend more shows, including international events, demonstrating our commitment to larger accounts. This has helped drive the culture and mentality we needed to make the psychological leap for multi-million-dollar accounts.” The impact of these early changes spread across the entire company, prompting operations to implement processes required for large account support.